Deck that Hall with a Holiday Ball! ‘Tis the season for spherical delights! Every year we love making ornaments and holiday decorations with Smoothfoam. From the cute little 1/2″ balls to the big giant 12″ balls (ahem), Smoothfoam-in-the-round is the perfect surface for every kind of embellishment. Paint them, glitter them, decoupage them, glue them, pin them, carve them, string them and blog about them – and share your link with us! Add your own holiday ball projects to our neverending link-up any time you like – we’d love to see how you celebrate all things circular with Smoothfoam! 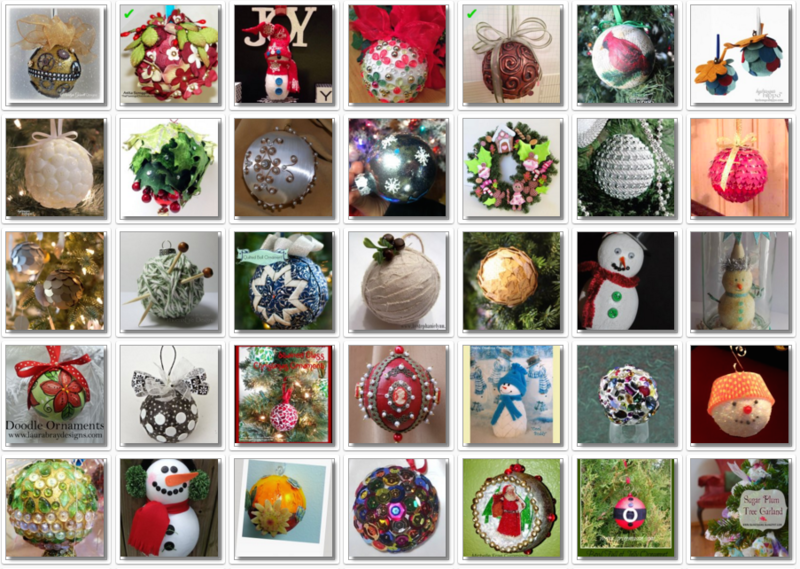 This entry was posted in Holiday Crafts and tagged Ball, Christmas, Holiday Ball, Ornaments by Lisa Fulmer. Bookmark the permalink. I am an avid artist, a chronic crafter, and a marvelous marketeer! I work in the craft industry as a marketing consultant, designer, demonstrator and webcaster...all of which happily feeds my right brain and makes my left brain hurt a little bit.